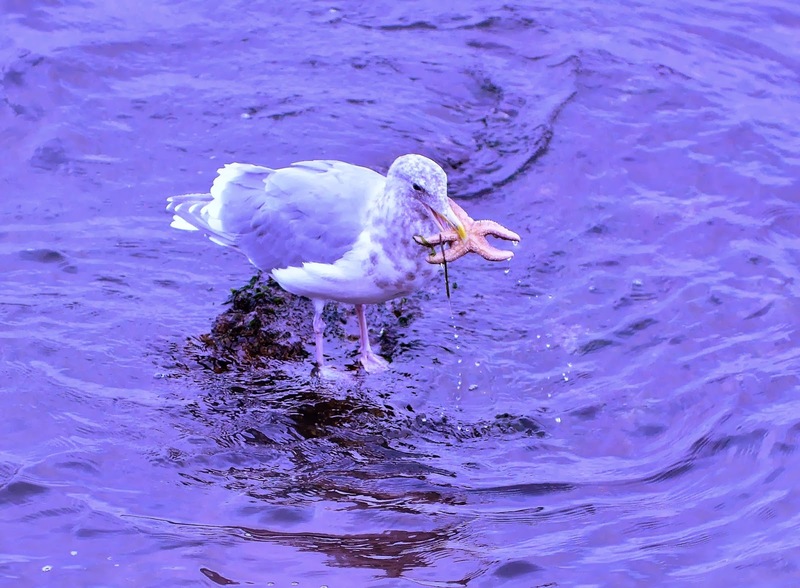 Lots of people ask, "What eats Seastars?". 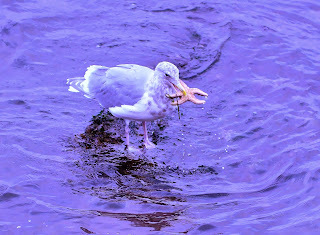 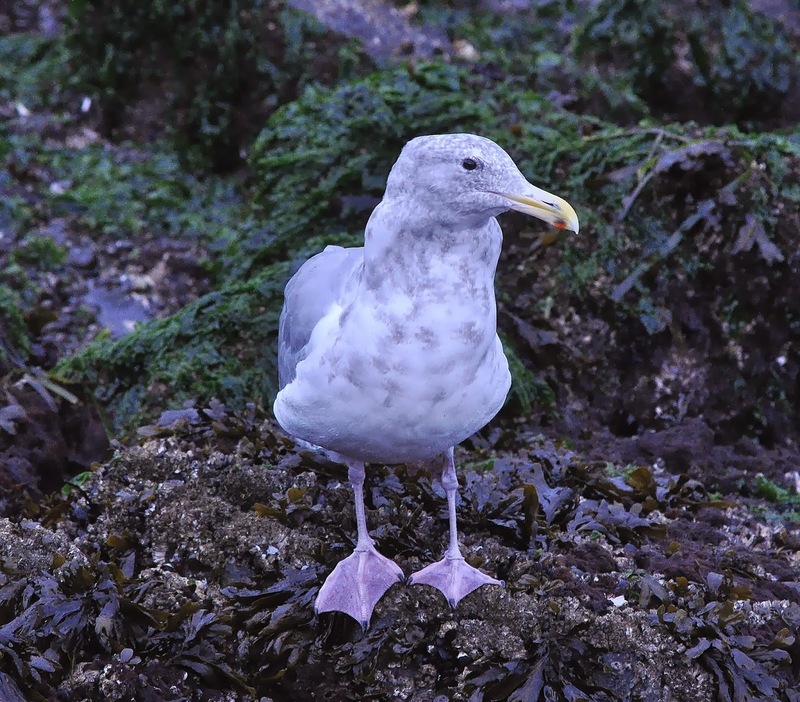 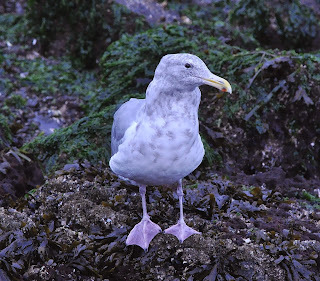 Well, it turns out one of the most common predators on seastars are gulls; mainly the larger gulls like the Western, and Glaucous-winged Gull, which are common in the Seattle area. In addition seastars are eaten by other seastars, sea otters, raccoons, and fish and plankton eaters that feed on them when they are in the larval stage as part of the zooplankton. 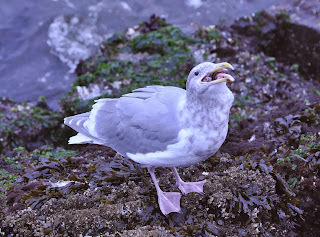 Also you will find them in food markets in China...for human consumption.